2011 August 6-7 - Collingwood - The Wakestock World Series Sports and Music festival rolled into Millenium Park this past weekend. Thousands of fans were treated to spectacular wakeboard/wakeskate events as well as a full slate of bands playing on 2 stages. 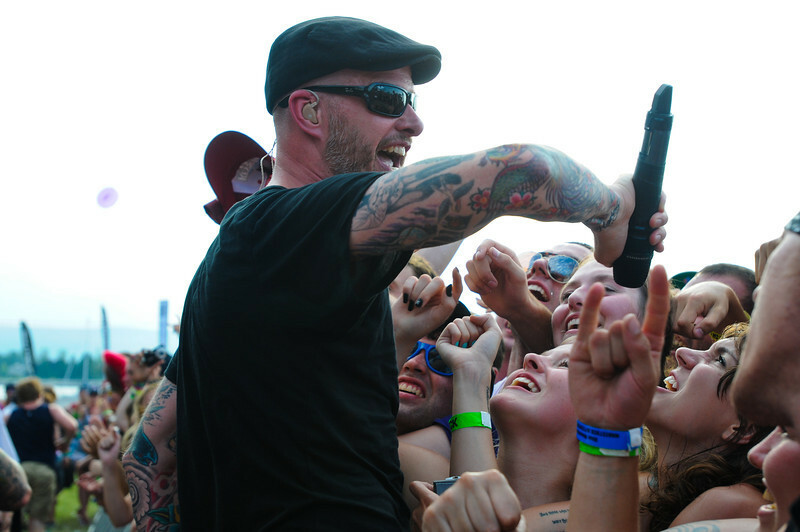 Celtic punk headliners, Dropkick Murphys lead singer Al Barr gets right down in the crowd to get some vocal help from them.